LB870, introduced by Lincoln Sen. Patty Pansing Brooks, would prohibit correctional facilities from placing juveniles in room confinement as a result of disciplinary sanctions, staff shortages or retaliation by staff members. Pansing Brooks said Nebraska facilities reported 2,383 incidents of juvenile confinement during fiscal year 2016-17. In terms of mental and emotional vulnerability, juveniles are at particular risk of long-term adverse reactions to confinement, she said. The bill specifies that room confinement could be used only after all other less-restrictive alternatives have been exhausted and the juvenile poses a serious and immediate security threat to themselves or others. The length of confinement would be restricted to the minimum amount of time needed to resolve any such threat while not harming the mental or physical health of the juvenile. Any room used for confinement purposes must be clean and free of anything that could be used for self-harm. It also must have adequate lighting, heating and cooling, ventilation, drinking water, toilet facilities, hygiene supplies and approved reading materials. Confined individuals would continue to have regular access to medical and mental health treatment, meals, contact with parents and legal guardians, legal assistance and educational programming. The bill would require release of the offender to the facility’s general population after no more than three hours when posing a safety risk to others or 30 minutes when posing a safety risk to themselves. If a significant and immediate safety threat exists after the time limits have expired, the juvenile could be transferred to a mental health or medical facility. He or she also could be released to the general population under the guidance of specialized programming. Notice of an offender’s placement in room confinement to his or her attorney would be required within one business day. A transfer to a mental health or medical facility would require that notice be given to the juvenile’s parent or guardian and attorney within 24 hours. Juliet Summers, representing Voices for Children in Nebraska, spoke in support of the measure. She said room confinement can lead to increased rates of anxiety disorders and suicide in young people. 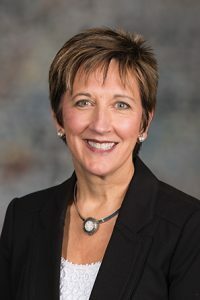 Research links involuntary placement in room confinement to higher rates of criminal recidivism, said Nebraska Youth Advocates Director Christine Henningsen. She said LB894, passed by the Legislature in 2016, was a good first step in limiting the use of room confinement for juveniles, but that more must be done. Dylan Murphy of Omaha also spoke in support of the bill. As a young person, Murphy said he was repeatedly placed in solitary room confinement and continues to suffer from emotional issues as a result. Douglas County Youth Center Superintendent Brad Alexander opposed LB870. He said that less than 10 percent of the residents in his center are violent and require placement in restrictive housing. Only a small minority of youth placed in confinement have another incident requiring further restrictions, Alexander said. Laura Bugay, a mental health practitioner at the Youth Rehabilitation and Treatment Center in Kearney, also spoke in opposition to the bill. She agreed that confinement should be used only when necessary, but that imposing time limits restricts her ability to effectively help young offenders.